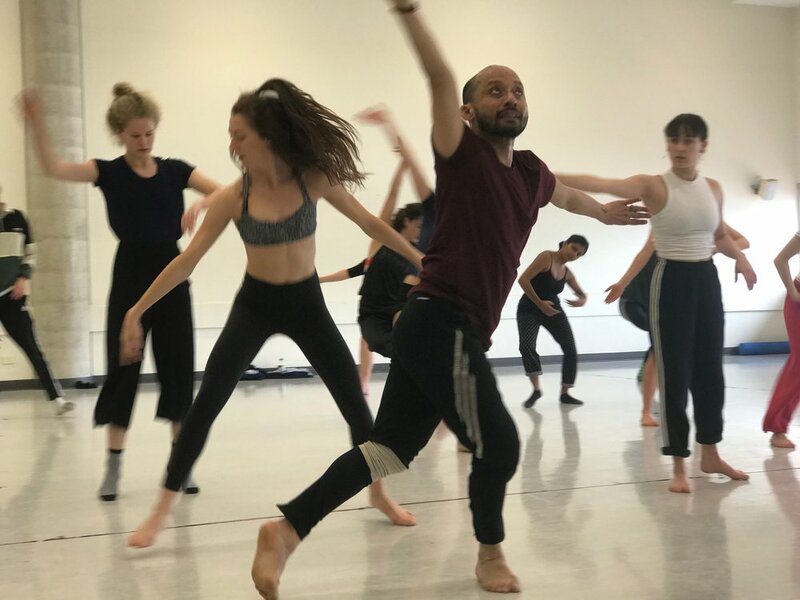 The Mill Adelaide in partnership with The Adelaide Festival & AC Arts present a masterclass with leading international dance company Akram Khan Company (UK). Participants: aged 18+; suitable for students of full time dance program; trained/graduated dancers; semi professional/prof. dancers. It’s a wide range of qualification - in short, experienced trained dancers. Rehearsal Director for XENOS, Mavin Khoo will lead a masterclass that will start with a warm up developed to facilitate the stylistic qualities of Khan’s work: speed, articulation of the body, rhythmic musicality and physical precision. Followed by a creative session drawing from motifs used in the creative phase of XENOS, dancers will be introduced to Khan’s process of devising solo material. Mavin Khoo is internationally recognised as a dance artist, teacher, choreographer and artist scholar. His initial training was at the Temple of Fine Arts, Sutra Dance Theatre and Sri Wilayah Ballet School in Malaysia. He the pursued his training in Bharata Natyam intensively under the legendary dance maestro, Padma Shri Adyar K. Lakshman in India, Cunningham technique at the Cunningham studios in New York and Classical Ballet under Marian St. Claire, Michael Beare, Nancy Kilgour, Paul Lewis, Ayumi Hikasa, Raymond Chai and Tory Jestyn. As a contemporary dance artist he has worked with Wayne McGregor, Akram Khan, Shobana Jeyasingh, amongst others. His commissioned works include creations for the Venice Biennale and Canada Dance Festival to name a few. Images in Varnam (2001) was commissioned by the Royal Ballet Artists Development Initiative and was followed by another ROH2 commission Let me...with Royal Ballet dancer Kristen McNally. Khoo is considered one of the few Bharata Natyam male soloists to have carved a niche for himself as an international touring solo artist, whilst still regularly dancing at all major venues in India, including the Music Academy and Kalakshetra in Chennai. His own company, mavinkhooDance, was founded in 2003. Productions include Parallel Passions (2003), Chandra/Luna (2004-2005), Devi: The Female Principle (2006), Strictly Bharata Natyam (2006), Devi: In Absolution (2008), Dancing my Shiva (2010), 00.00 - 00.01 (2011), Akasha (2012), I am with you, Muruga (2013) and Intoxicating the Blue Lord (2016). Khoo holds a MA in Choreography from Middlesex University. He was faculty member of the Dance Studies Department (at the School of Performing Arts) at the University of Malta. In 2014, he was appointed artistic director of ŻfinMalta Dance Ensemble, where he also choreographed and danced until 2017. Khoo now maintains his touring work as a mature artist with a focus on solo Bharata Natyam performances and specifically commissioned contemporary duet works. He continues to act as Rehearsal Director for Akram Khan Company working on productions such as XENOS (2018), iTMOi (2013) and Giselle (2016) with English National Ballet.